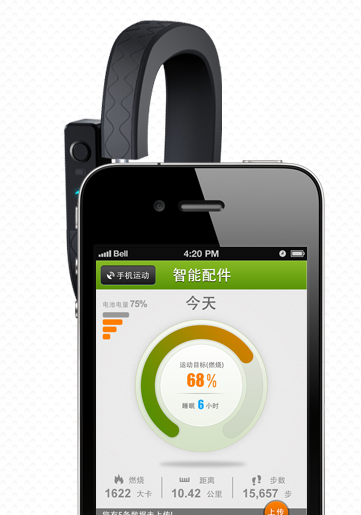 ForTechiesOnly: Jawbone UP you just got China Cloned ! 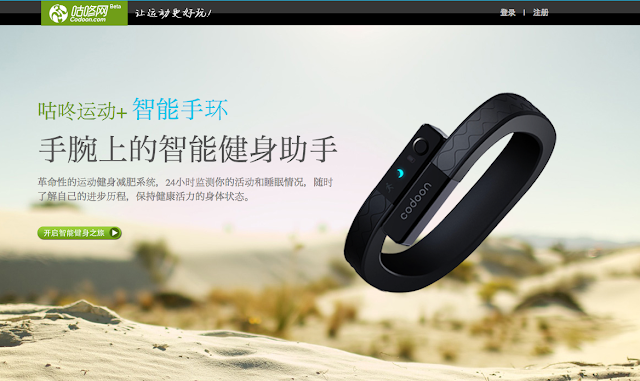 Jawbone UP you just got China Cloned ! The risk of being cloned by a company in china (that presumably has lower costs than you, and can crank out features faster than you can) seems to be real judging by this iOS app and website i just found. Read on for an interesting look at the chinese competitive cloning threat to domestic consumer electronics ventures , start ups, and kickstarters. 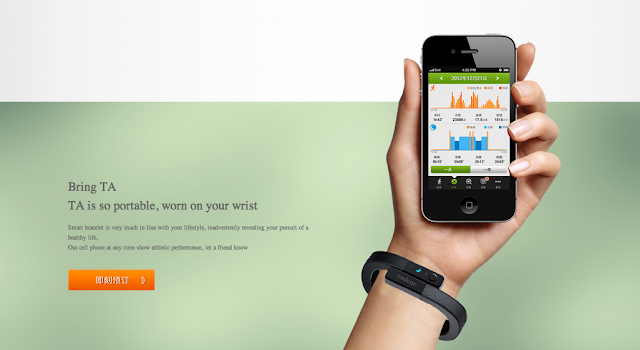 As readers of this blog know, i am a fan of the quantified self movement. I was one of the first people in line to get The Jawbone UP (in fact i got 3 gen 1 UP's) , and since then have used Nike Fuel, FitBit Ultra's and FitBit One's. I am currently in between Fitness Trackers , although i think i will make the jump back to The UP (since the UP had the best iPhone app out of all the apps in this category that i have tried). 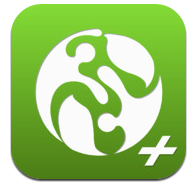 A few days ago i was exploring the iPhone App Store , checking out the fitness app section. Curiously, i discovered an app called Codoon that looked intriguing from an interface perspective. Once i started playing with it, it was shocking . IT WAS A DIRECT RIP OFF of the Jawbone UP. Then i went and checked out http://www.codoon.com , not only was the iOS app egregiously borrowing ideas and interface elements from the iPhone UP app Codoon seems to have copied the actual hardware 1 for 1 too !!! Cloned !!! The bracelet looks the same (it even has the little blue glowing moon icon, and the same zig zag texture pattern). It even has the same cap (except this one says "CODOON" on it). It has the same syncing mechanism, the headphone jack . The feature set is basically identical. The interface and ways of explaining the value of the hardware bracelet and software app are also almost identical. Look at the screenshots and judge for yourself. To their credit : Codoon does have 1 or 2 features that go above and beyond what i remember the Jawbone UP app having (disclaimer: i havent used it in the past 3-4 months, although i just redownloaded it as a result of writing this post) . The main feature that stands out is tracking your run on a map. The app draws a cool looking trail on a map as you run. Measuring the stats around that run. 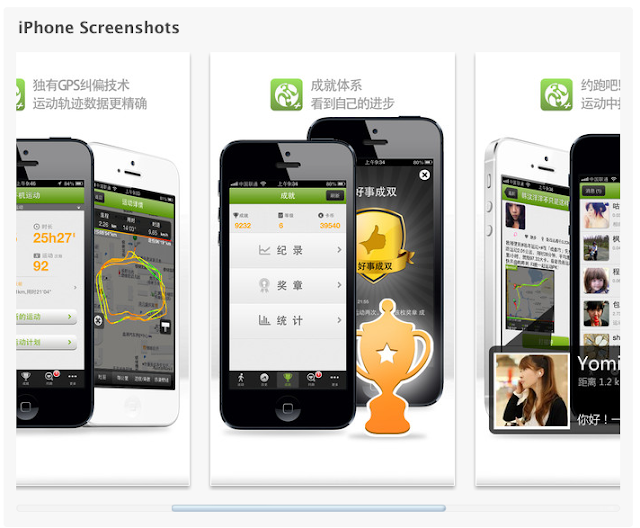 (btw this is how i found the app in the first place, i was looking at apps similar to runkeeper). All in all it makes me wonder ... is this chinese clone better than the UP ? Is it cheaper ? If it was half the price, and i could get 2 Codoon's for the price of 1 UP i think i would. Since part of the value of using these fitness trackers is social, doing it together with your significant other or friends is alot of fun. But you need several devices to get your group all on the same platform, Price may matter more than first mover advantage in this market. 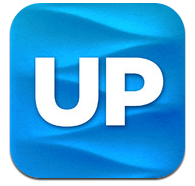 What do you think would you buy a codoon instead of the UP ? Leave a comment with your answer. Thanks. Interesting. One thing, they do avoid is FDA approval - by cloning US Health and Fitness products for other markets. So in theory this is good for consumer interms of innovation. Companies who have a strict USA focus are actually quite limited in terms of what they can try without approval. If you are looking for the ultimate Bitcoin exchange service, then you should go with Coinbase.